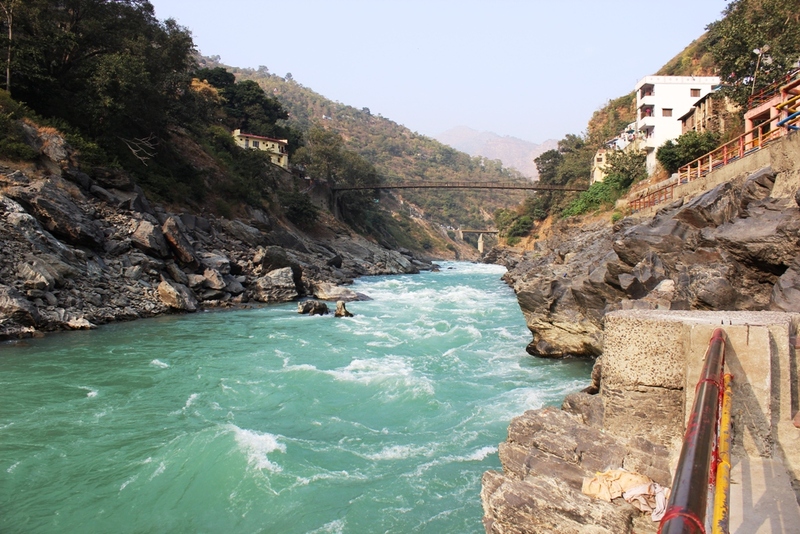 Sangam where Alakhnanda and Bhagirathi river unite together to form Holy Ganga, it is situated in Devprayag a small town in Uttaranchal. 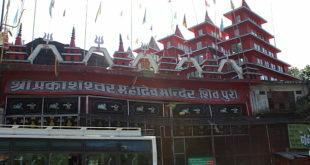 Devbhoomi , the land of God starts from Haridwar in the foothills of Himalaya where the holy river Ganga first touches the plains after travelling long journey in hills. 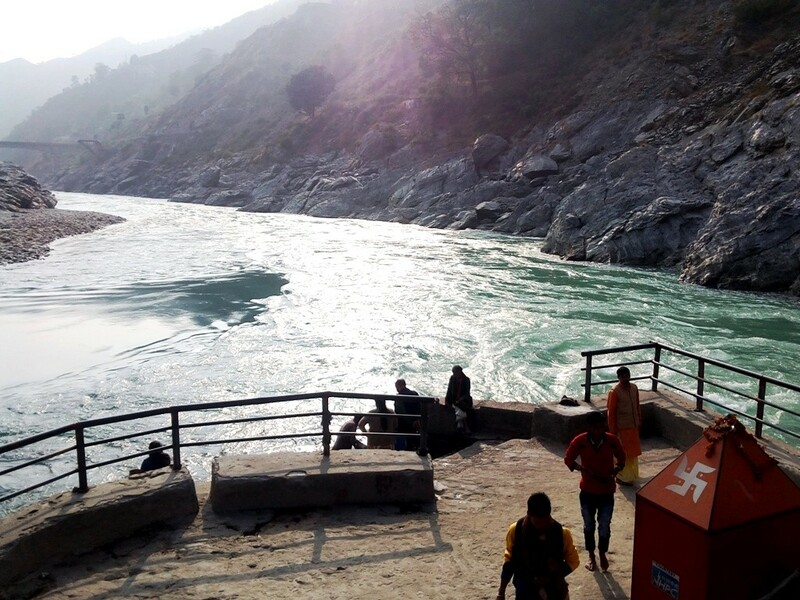 The journey of formation of river Ganga starts from Gangotri or Gomukh (7000 ft) in Himalayas and completes in Rishikesh (500 ft). 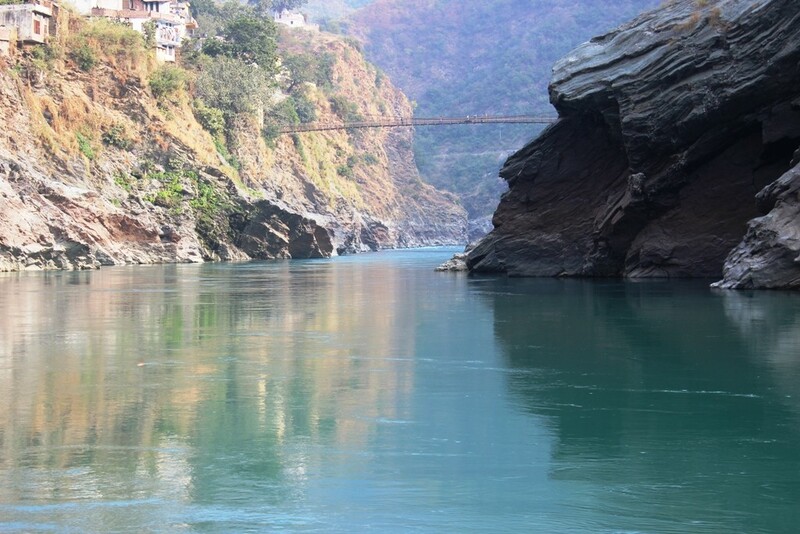 Devprayag also called Panch prayag is the last confluence where Alakhnanda meet Bhagirathi which is actual Ganga coming from Gomukh. 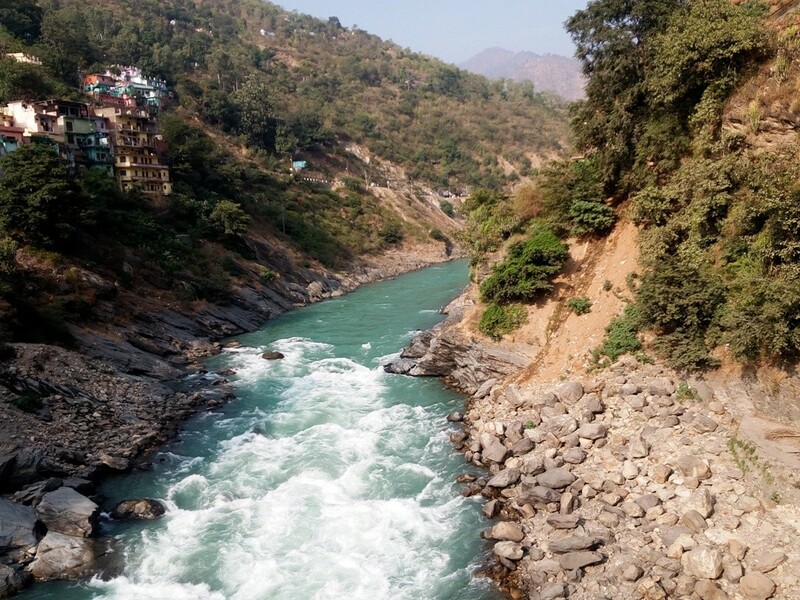 All this I learned from a Panditji lookalike my grandfather, who met me while I was searching the right way to the confluence point in Devprayag. 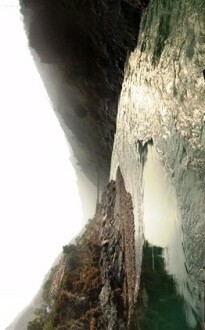 Devprayag is a small town with no attraction other than the Sangam or the confluence point of two holy rivers. To reach near the confluence point we were descending from the main highway road (where I parked my car) onto the constricted zigzag staircase. 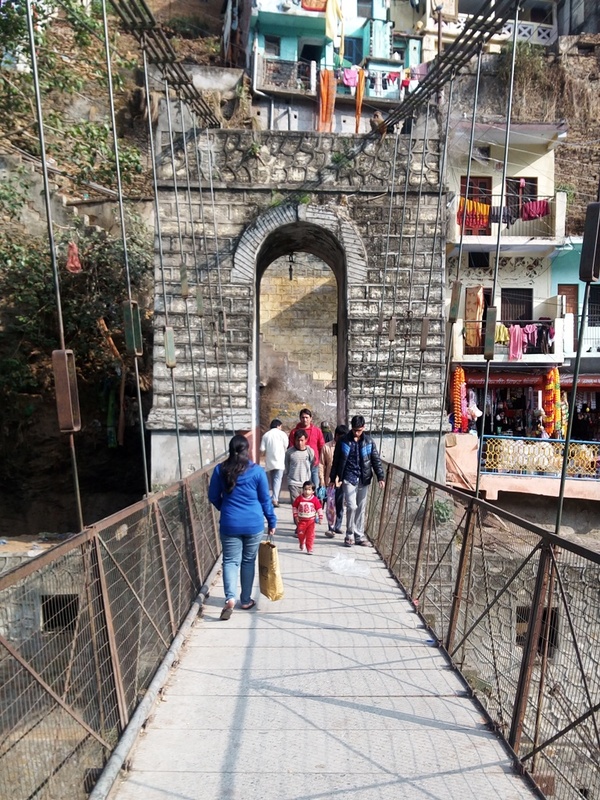 Near the first ropeway bridge, we got confused for a moment for the right path, suddenly a soft voice from behind directs us to turn left on the rope way bridge. We turned back to see an old man in kurta pyazama carrying a long stripped jhola(bag), standing with a beautiful smile on his face. He was in his fifties, lean and thin, small face with deflated cheeks. He quickly came near us and introduced himself as a local pundit and started describing the holy place. 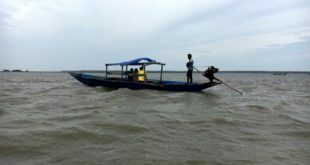 I was attracted by his smile and the charm he was showing to us and therefore listened to him quietly and asked him to tell more about the place and guide right way. On the way he told many things about the place, which I already described above. He was also telling that he was happy to meet us, he can get something from us. He continues….“ pundits are greedy, you can give me from Rs.5 to Rs. 5000, no force”. Meanwhile we reached confluence point, near the river he shows the right place for worshipping and also warned us not to go near the slippery area. When I and my wife shows interest for bathing, he was delighted and told many young people came and go but very few bath. He provided the bucket for bathing and instructed other pundits present over there to go far away. I and my wife bathed together sitting on the edge of Sangam, we also sat for a moment worshiping the River Ganga. 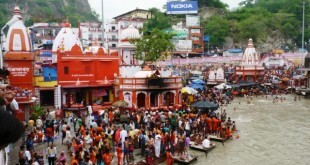 After bathing Pandit ji performed small rituals sitting on the bank of river. 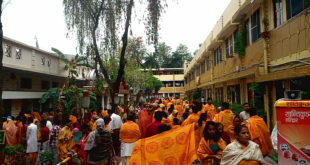 We were blessed and feeling content having sitting on the holy place. Lastly I thanked Panditji and paid him not for the rituals he performed but for his cute grandparent like behavior and providing information about the place.